Slipping to the 2nd spot. Roma remains confident in their match against Atalanta. The visitors have dominated their previous encounters and this one does not make it any different and makes them the favorite of sports betting sites. 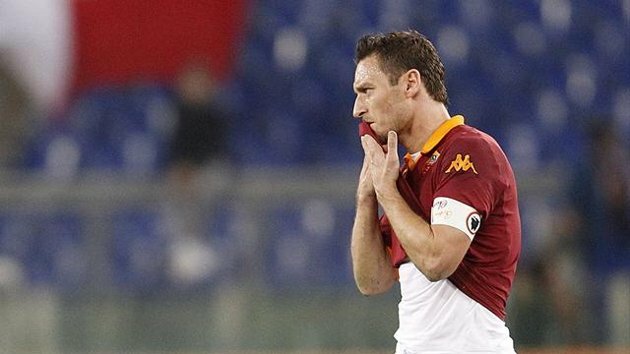 However, it is still unsure Francesco Totti will make it to the pitch. After a disappointing 2-0 defeat to Sassuolo, Atalanta’s series of unfortunate events continue. The club shall miss their team captain, Gianpaolo Bellini on the pitch during their upcoming encounter with fierce rivals, Roma. Bellini just incurred a serious right thigh injury, which will sideline him in the next 3 or 4 months. Such unfortunate circumstance adds his name into the (growing) list of Atalanta’s injured players such as the reliable defenders, Lionel Scaloni and Guglielmo Stendardo. Nevertheless, either Ricardo Cazzola and Giulio Migliaccio can take the central defensive spot. Overall, Atalanta has been struggling during their last 6 matches. They lost three (3) of them, yet, they have managed to secure 2 wins and a draw to keep them away from the relegation zone and thrive in the league’s top 10. Unfortunately, the injury problems have been keeping them at bay and with Bellini’s absence, going against the league’s next best club will be embroiled with intense difficulty. Definitely, the club’s defence shall be the center of attraction as the club and Roma have the reputation of accumulating more than 2.5 goals whenever they meet at Bergamo. Unfortunately, Roma have been forced to settle for 3 consecutive draws in their last 6 matches. This paved way for the incumbent scudetto titleholder, Juventus to grab the lead and seal their dominance in the league. Totti has been one of Roma’s power forwards, who can easily cut through an impenetrable defence walls, create scoring opportunities and score goals. His aggressiveness on the pitch as well as his clinical finish and accurate passes are 3 things, which Roma needed right now. Indeed, Totti’s absence heavily affects the club. However, this does not immediately dismiss them as the match’s minnows. Apparently, they will take advantage of Atalanta’s weak defence. The club is actually more confident in securing a victory since they already won 6 out of their last 7 matches against Atalanta.